Two fifth birthday parties this weekend kept us on the go. 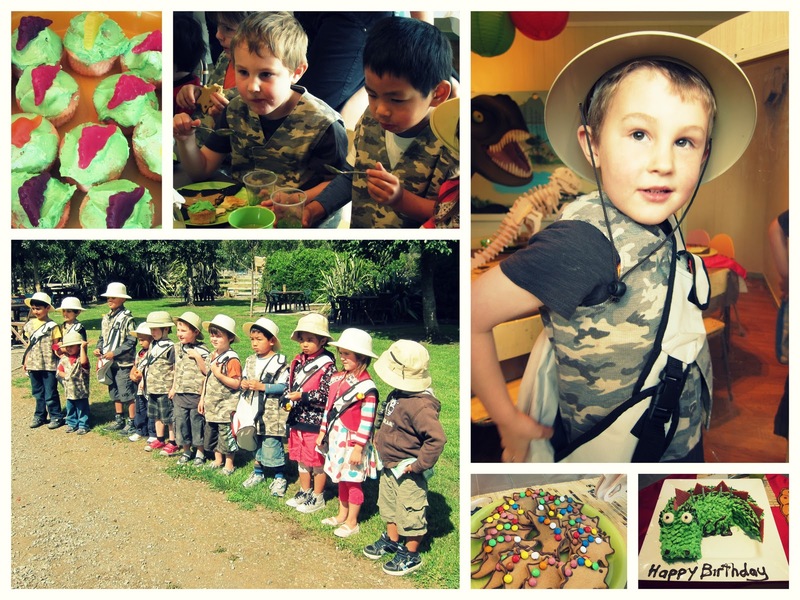 One dinosaur themed party out in the wilds of Whitemans Valley at Short Straw Cafe. A combined fifth and second birthday for Aarnav and little brother Neil. The whole archaeologist expedition was a bit lost on Mylo, but he kept himself happily entertained in the outdoor play area nonetheless. And the rain held off till just when we got back in the car to leave. Brilliant. 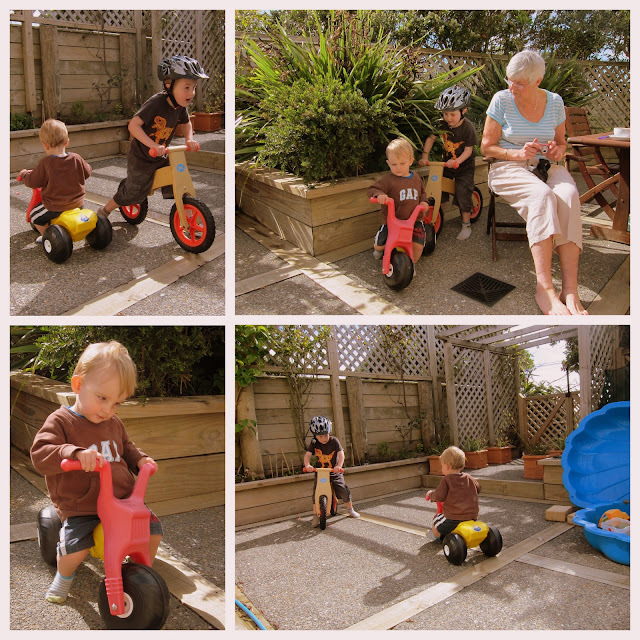 Sunday morning we hung out at home with Grandma and Grandad, and Mylo took to his trike for the first time. It reminded me so much of when Noah got on that very same trike for the first time at the same age. We recorded a hilarious video of some Bad Parenting which we still laugh about to this day. Mark then headed off to do his annual Akatarawa Attack mountain bike race, while Noah (a.k.a. Donkey) and I attended his friend Phoebe's Shrek Dress Up Party, leaving Mylo in Grandma & Grandad's capable hands. 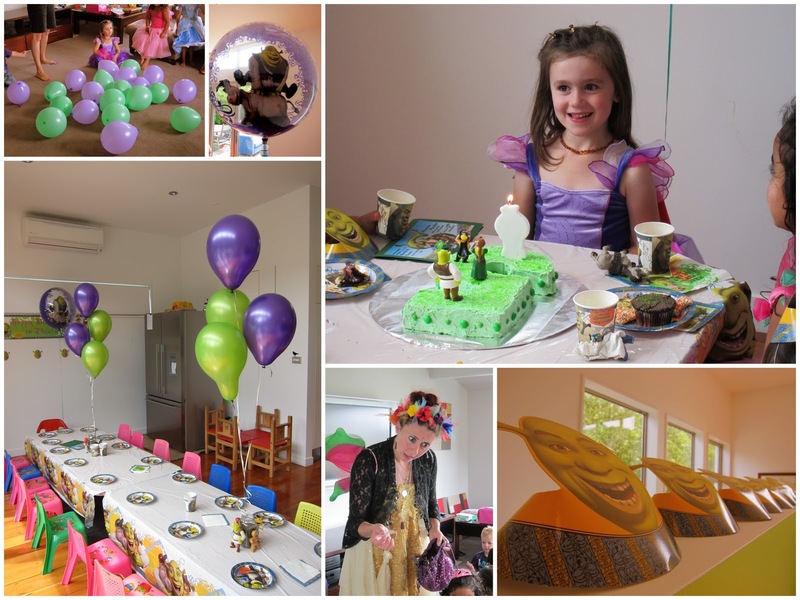 The party had been planned to perfection, including some great Shrek-themed games and a special visitor (Fairy Trina) rounded out a fun filled afternoon. I can't help but feel the sadness tinged with celebration. This weekend marks the beginning of the end. Fifth birthdays mean change. An end to carefree daycare days, hanging out with a wonderful group of friends as they all begin to turn five. Noah's birthday isn't till August and most of his close friends are starting to leave, and all of them will have left for school by the beginning of April. It's a year of change ahead. I hope that for Noah, being the 'big kid' on the block for a while will be an enjoyable experience. A chance for him to blossom and be a leader amongst his younger peers. 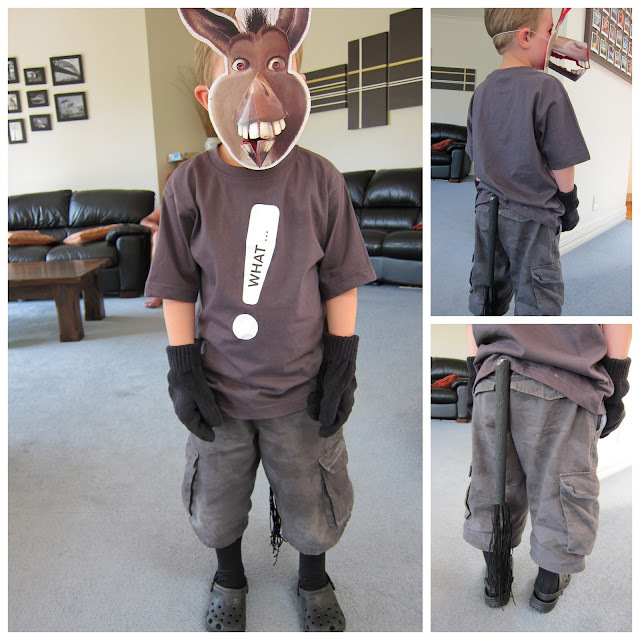 I hope he can embrace the change and not feel 'left out' by being the only one not yet at school. 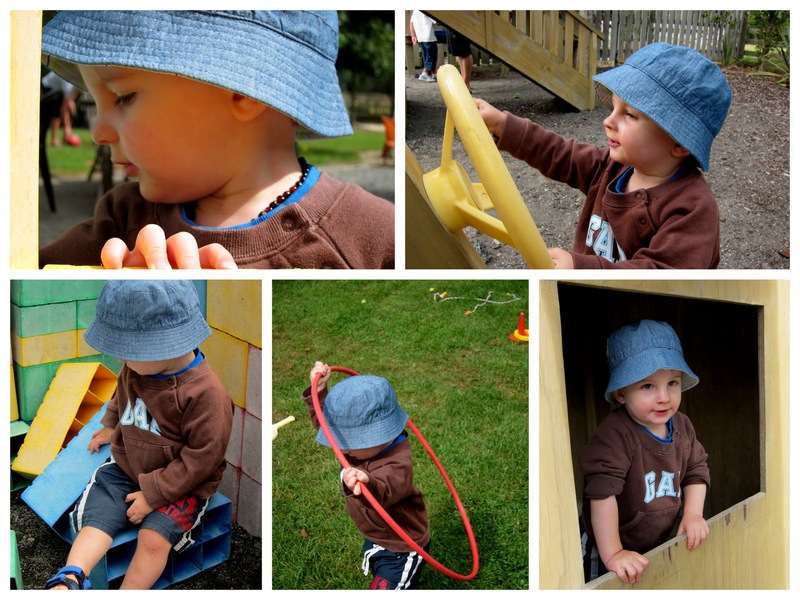 We will have to try and extend and challenge him more outside of his daycare experiences where we can. Noah is such a kind and gentle soul with a beautiful heart. He is a loyal friend, and has established some wonderful relationships with his daycare friends over the years. But with this kindness and gentleness, comes an oversensitivity and a tendency to cry easily. Sometimes it is tough parenting a boy made in such a gentle mould, because people naturally expect him to be rough and tough just because he is a boy. I've often felt myself needing to explain away his shyness, or sensitivity which really frustrates me. Because there is nothing wrong with being kind and gentle, is there? It's just that 'society' proclaims men must be tough, and anything less is seen as wimpiness. We try and help him as much as we can to embrace new experiences even if it is by slowly getting used to them over a number of times until more often than not he decides that he 'loves' whatever it is. Like the hydroslide at Karori pool. It took about three or four trips, first visit petrified and would only go on once, second visit conceded to go on twice, third visit about half a dozen times, and now we can't keep him off it. This is just how we do things in Noah's world. We also try to play down the frequent bouts of tears when he hurts himself saying 'you'll be fine, be brave, no need to cry'. You know, I really don't know if these are the right tactics but this is just what we find ourselves doing. As a parent, its natural that you would always want to shield your child from any hurt or pain. Its hard to accept that there are times when we just can't protect them from it, even though it doesn't seem fair. But, this is life we're talking about. And it's not always fair - at least not by what we define as our concept of fairness. So, regardless of what lies ahead, we love without ceasing, we support through thick and thin, and we continue to pray for God's hand to guide us in parenting our beautiful boy through this year of change. And I'd love to hear from any other parents out there parenting shy or sensitive kids how you have approached and supported your child through big changes in their lives. Such neat parties... and cracking up at your bad parenting clip!! My little miss is turning 4 in two weeks time... then next year all of the four kids will be off to school! Until then she will be one of the only big girls at playcentre and coffee group... and I'm feeling a lot like you! - i teach them to respect women - letting their sister/me go first. helping carry my bags. waiting until i've finished serving before beginning to eat...little things like that. i encourage them to show initiative - to be aware of needs around them and act on it (ie if their are some clothes of yours on the stairs, take them up and put them away the next time you go upstairs! )...this is slow going. - i am quick to act on whinging or self-pitying kind of behaviour. again, we're training with husband/father in mind and who wants that kind of hubbo?? !